4.0 out of 5 based on 37 bloggers and 6 commenters. 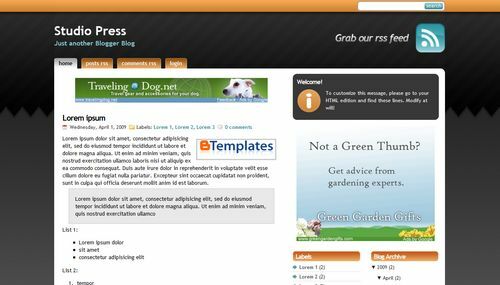 StudioPress Orange is a free blogger template adapted from WordPress with 3 columns, right sidebar, web 2.0 design, rounded corners, ads ready and neutral colors. Love the templates…but I am having a hard time downloading..I have Windows Vista. Don’t know if it has anything to do with it. Thank you. hi, I simply love this template, it’s a very good one. I installed it on my blog, and after some customization I noticed that my ads aren’t working.